From the highest point on the old CCC Trail in Davis Mountains State Park, the view into the valley below stretches to lava cliffs and the distant remnants of fading mountains. 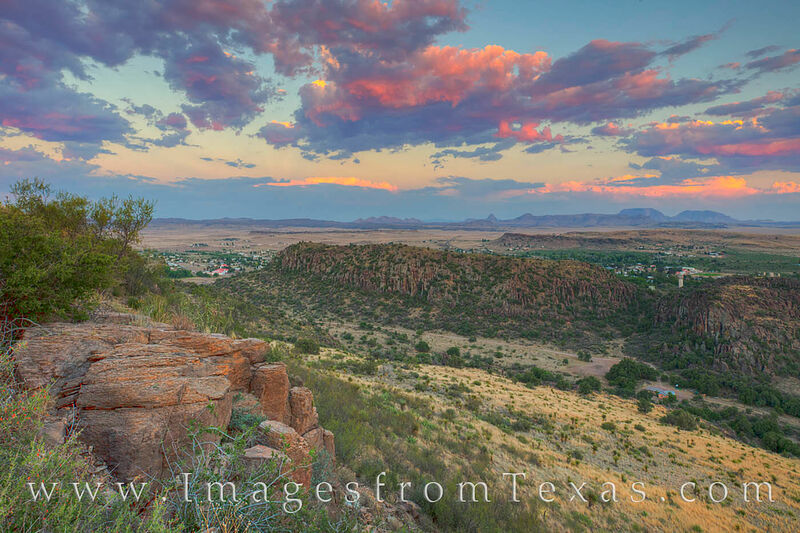 To the east lies Fort Davis, one of Texas most important historical sites. Overhead, storm clouds catch the last light of sunset on a summer evening. Photo © copyright by Rob Greebon.